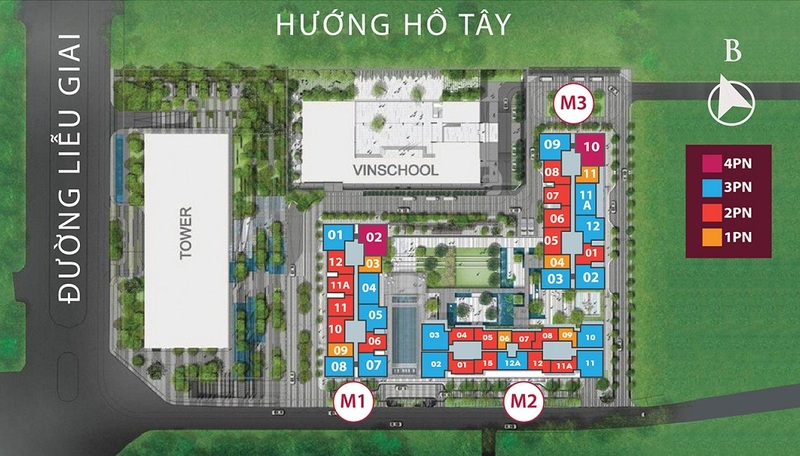 Project scale: Vinhomes Metropolis has a total area of about 3.5 hectares. This is a mixed housing project including high-end apartments, offices, commercial center and schools. In particular, high-end apartment block consists of 3 apartment towers: M1, M2, M3 tower, are designed in a luxurious, modern way, using high quality materials and interior. Advanced finishing materials: Glass balconies use low-E glass to balance heat and reduce UV rays. Finishing interior includes wall cabinets, modern lavabo cabinet, imported accessories. Famous sanitary equipment of Duravit and Hansgrohe (Germany). Central hot water system is stable and optimizes the usage. 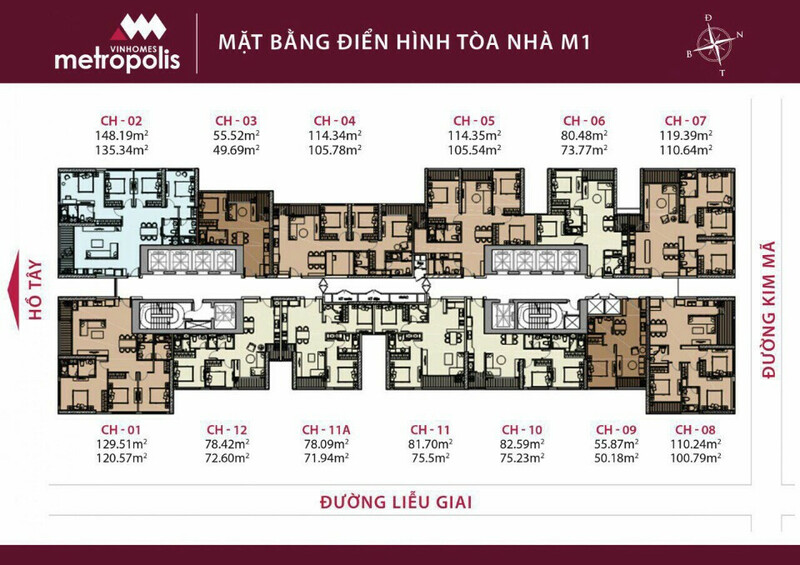 Vinhomes Metropolis M2 tower includes 45 stories. 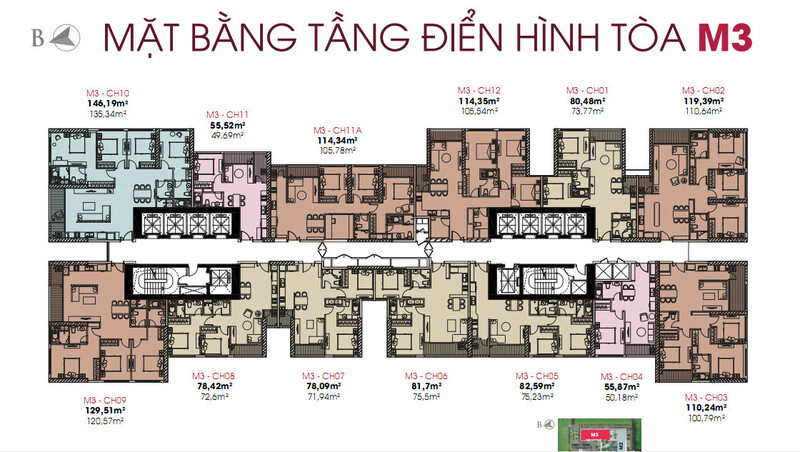 The total number of apartments per floor is 13 and 8 high speed lifts. Vinhomes Metropolis complex of apartment, office and commercial center has the most prime location in Ba Dinh district, with synchronous infrastructure as it is very close to Daewoo hotel, Lotte center Hanoi, Embassy of Japan…Besides, Vinhomes Metropolis has a panoramic view of the city, especially the poetic scene of Westlake. 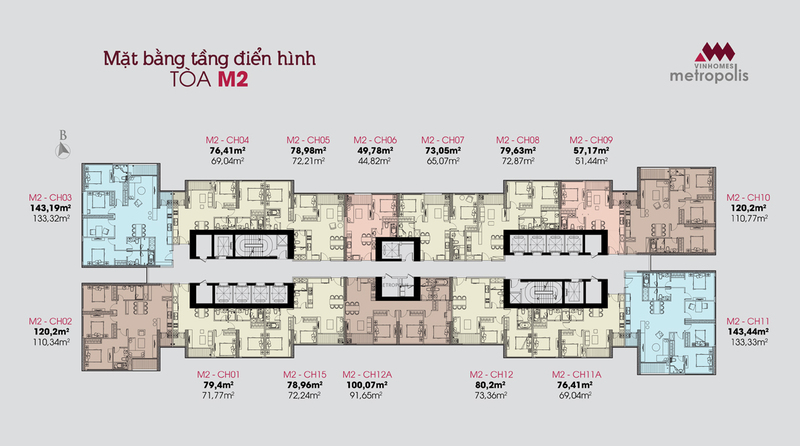 Vinhomes Metropolis is a multi-utility complex along with prime location creating a modern living space unique in Hanoi.